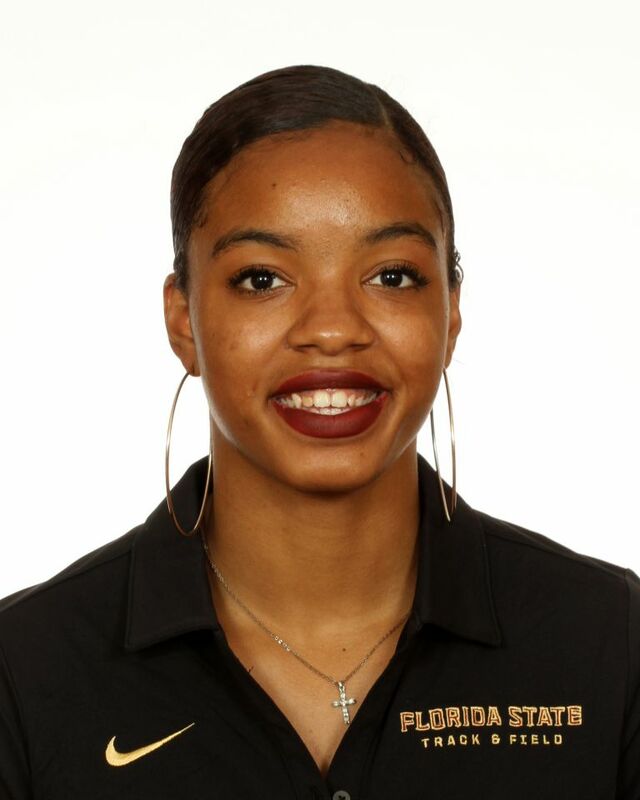 Arrived on campus in January of 2018 and sat out as a redshirt…among a trio of signees comprising arguably the best women’s sprints class in program history…competed unattached at 2018 FSU Relays in 200 and 400…boasts incredible range fro 60-400 meters…owns lifetime-bests of 7.77 (60), 11.49 (100), 23.28 (200, outdoor), 23.67 (200, indoor), 39.44 (300, indoor), 52.98 (400, outdoor) and 52.91 (400, indoor)…should be a force in the 200-400 and on 4×100 and 4×400 relays. As a senior was New Balance Nationals Indoor 400 runner-up (52.91), trailing only Olympian Sydney McLaughlin nationally…also ranked No. 4 nationally in the indoor 200…was Florida 4A runner-up in the 400 (52.98) and 200 (23.28)…was the 2016 4A state 400 champion…is a 9-time New Balance Nationals All-American between the 200 and 400…a 3-time AAU Junior Olympic All-American (100, 200, 400)…4-time state finalist in the 200 and 3-time finalist in the 400…won Palm Beach County Track Athlete of the Year honors in 2017 and 2015…plans to major in psychology…the daughter of Jamine and Arthur Diaz…born Nov. 23, 1998.